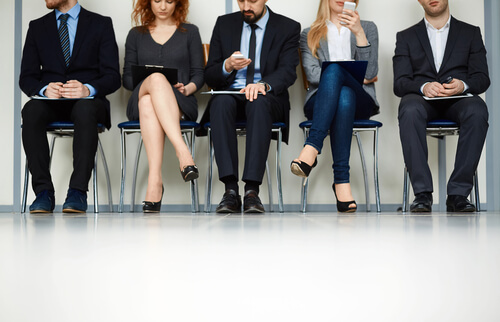 It’s a widely known fact that job seekers have the upper hand in today’s job market. With so many companies hiring, they can afford to be picky about what they apply for and what they accept. With that said, there are some strategies for hiring managers to ensure the candidates they select are in it for the long haul and have a genuine interest in your company. In doing so, your company’s productivity will benefit, your turnover rates will be minimized, and your Ann Arbor Employment Practices Liability will be reduced. First and foremost, it’s critical to fully understand the role you are trying to fill. While this may sound obvious, you need to understand the qualifications required in order to do the job adequately. Include a must-have and a preferred qualification checklist to post on a job listing. Remember, it doesn’t need to be incredibly detailed, but you want to ensure that the under-qualified candidates aren’t the ones you are attracting. Once the resumes come in, filter them based on how they align with the job’s qualifications. Next, offer a phone interview to see how they respond. If they are willing to work with you to speak at their earliest convenience, this is a good sign they have a legitimate interest and aren’t applying to jobs blindly. After bringing in candidates, make sure to ask each the same questions to be sure everyone is gauged fairly and equally. Ask why they specifically want to work for your company. If they pass off some generic response, they likely aren’t too interested in your company specifically. Further, in terms of money, you should never overpay for an extremely/overqualified candidate…It’s especially difficult to realize that someone is too good for your company, or a specific role, but it’s not because you’re beneath them; sometimes, people are just flippant and looking for an interim role while they figure out their long-term plans, says Small Business Trends.